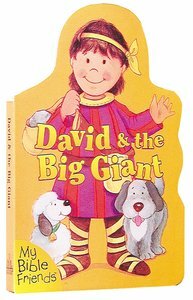 About "David & the Big Giant (My Bible Friends Series)"
David and the Big Giant is one of a series of books, especially designed for young readers. They offer colourful illustrations and simple text. Alice Joyce Davidson has written 28 books for the Alice in Bibleland series, with sales of over five million copies. She has two children and two grandchildren. She is involved in art and sculpting as hobbies and lives in Cincinnati, Ohio.